Vice-President Yemi Osinbajo said on Sunday that Babachir Lawal would be prosecuted for allegedly stealing money earmarked for the displaced victims of Boko Haram insurgency, Premium Times reports. The vice-president said President Muhammadu Buhari had prevailed on anti-corruption agencies to prepare criminal charges against Mr Lawal, who served as cabinet secretary from 2015 until he was disgraced out of office on October 31, 2017, after being indicted of stealing millions of emergency funds. Mr Osinbajo said Ayodele Oke, the former director-general of the National Intelligence Agency (NIA) was also recommended for prosecution. Mr Oke was the NIA head when a large vault of money was found in an apartment in Ikoyi, Lagos in April 2017. “The president has directed that the SGF and former DG of NIA should be prosecuted,” Mr Osinbajo was quoted as saying by the News Agency of Nigeria at a Lagos dialogue organised by Christian youth affiliated to the GRILL, Ikeja Branch. The government has faced criticism for its snail progress in bringing charges against Mr Lawal, who was first found to have stolen millions of IDP funds using firms linked to him in a December 2016 Senate investigation. The president initially argued that there was no substance in the Senate investigation, but ultimately succumbed to public pressure to remove him and ward off any political garbage that the administration could suffer from the scandal. Even though he was removed from office, Mr Lawal continued to associate with Mr Buhari, and there is no indication the president was ever uncomfortable with this. The disgraced former government secretary had also been the president’s point man in Adamawa State, as well as a major player in the reelection campaign team. 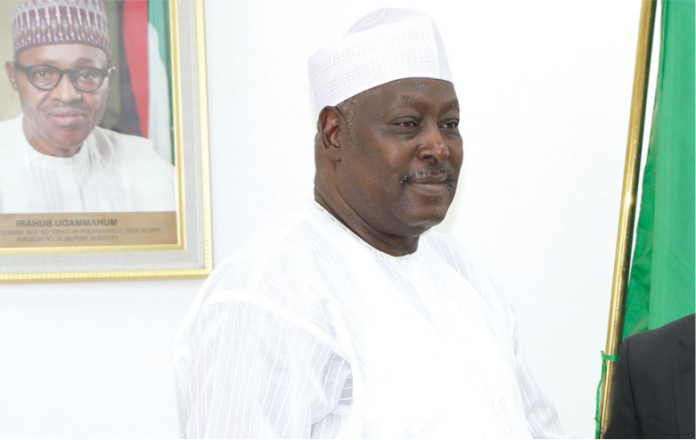 The Economic and Financial Crimes Commission (EFCC) has invited Mr Lawal for questioning at least twice, although it was unclear whether any charges were filed. “The next of course is that criminal allegations will be filed against them and the prosecution process will be completed,” he added.